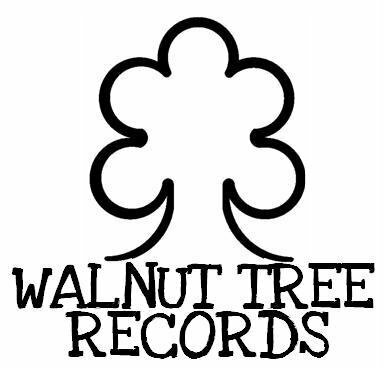 Earlier this month UK independent label, Walnut Tree Records launched a new singles club called 'The Secret Treehouse', which sees the label releasing six limited edition singles over a six week period. Following on from well-received releases from Tiger Please, Cuba Cuba, Burn The Fleet, Bayonets and Portman, 'The Secret Treehouse' sees WTR producing releases from six new bands; The Maple State, Day Of Rising, Call Me Ishmael, Delta/Alaska, Newlands and Ghostlines. WTR's label owner Tom Beck recently spoke to Alter The Press to discuss how "The Secret Treehouse" came together, the six bands included in the series, the single format and more. Alter The Press: For those who haven't heard about it, could you tell us what 'The Secret Treehouse' is? Tom Beck: The Secret Treehouse is my six part physical singles club - it features six hand made releases that I'm putting out the six weeks between November 1st and December 6th. The bands involved are Delta/Alaska, Call Me Ishmael, Day Of Rising, The Maple State, Newlands and Ghostlines. The releases are all from unsigned bands and are limited to 100 and being sent with an exclusive badge and postcard for each band. Those who subscribe will also be sent a handmade zine featuring interviews with the bands, so it's easier to get to know the people behind the music. ATP: What are the main reasons for doing the singles club? TB: I wanted to start working with some of the many demos or submissions I'm sent, but there is no way I could do this as a full release each time. So the idea was to test the waters with the bands, and see whether anything more could work out. Keeping the copies limited to 100 meant that there hasn't been as much of a risk for me or a pressure to sell so many copies as usual. I turned it into a club so I could have a running theme with the artwork. I enjoy being creative with my releases too and I thought this would be a good chance for me to try out a few ideas - such as the stencils and spray paint for the front covers. It's much more rewarding for me than just sending the parts to a production company and they sending back the pressed cd. Walnut Tree Records' Tom Beck talks about 'The Secret Treehouse' and shows how each piece of single artwork was made. ATP: What influences did you have to develop the idea? TB: I think some of my favourite releases this year have been the singles that Tom Bennett put out with Pandy Cane. They were handprinted and limited to 100 and looked incredible. The Nicholas Stevenson single came with a template for a paper airplane - a nice tie in with the title track. Pandycane constantly come up with great marketing ideas too and he's a hard working guy. The spray paint idea I've wanted to do since 2008 when I co-released the Portman album. The band themselves spray painted their promo copies and it was really effective. I'd never used stencils before and now I've seen how easy they can be to make I think I'll use then more often. ATP: How did the six bands get chosen for 'The Secret Treehouse'? Delta/Alaska are a brand new band but they feature members of the defunct Kamikaze Practice, who have been sending me tracks to listen to for a while. Niall is a big supporter of my label and bands like Bayonets and at first I felt like I owed it to him to listen to his own music, but after one listen it became more about how good it was rather than a sense of duty. The band haven't played any live shows and only have a few recorded tracks but there is an incredible buzz about them. They seemed really keen to be involved when I suggested the idea and it's working well so far. Call Me Ishmael emailed me when I was on holiday in the Black Forest in Germany. I was sat on my iPhone reading football match reports and their email popped up mentioning that they had recorded with Neil Kennedy (Viva Sleep / Burn The Fleet) and I trust his opinions so felt it was worth a listen. In their press pack they'd also included a ATP review and you seemed to dig it - so I added it to the list of emails I had to look into when I was home. The band have self-released their debut EP, so I was too late to be involved in that but I don't think many people outside of Glasgow are aware of them and I thought having them on the singles club might change that. I talk to Rory from the band and he's really positive and seems to understand what it means to work hard for his band, and how efficient you should be. It's good to see. Day Of Rising: I've been a fan of since their EP with Punktastic Recordings and have always said that they're my favourite Spanish band - purely because I didn't know any others! That's changed recently as I've had a string of demos from Spanish bands who have presumably seen my label through Day Of Rising. Roberto contacted me a few months back to ask if I'd be interested in releasing their new album, - and as much as I love it I was honest and said that I didn't think I could take that album and push the band to the next level. I'd make a good go of it, but I don't really have the experience with pop-rock albums. I absolutely love 'American Professional' though as a track and after listening to it on repeat for a whole morning, I pretty much came up with the whole singles club idea to accommodate it. The Maple State are a band that I've known for almost seven years now, and I was fortunate enough to be involved with them as a friend and a huge fan of the band. Between myself and Dan Bazeley. I think we saw them about 100 times in two years and I've missed those live shows in the past few years. I've wanted to be involved for the whole seven years too and since starting the label, I've regularly asked Greg if I could put something out and I think he got bored of saying no and gave in. They're my favourite UK band of the last ten years and I'm really excited to finally have them involved. Tristan, the guy behind Newlands, is from the same circle of friends as The Maple State in Manchester and at times we shared merch duties for them. We both seem to be into similar bands such as Hot Rod Circuit and I've kept in touch with him since leaving Manchester, and always wanted to hear what he'd make of recording. He's worked for bands for years now and it's nice to see him on the other side of the stage. Tristan had been sending me tracks recently and I think he was quite surprised when I came back one day to say 'how about a single release then?'. This is his first release and I hope it goes well for him. Ghostlines were the last act to get involved - I'd been touting the release as five bands and Ryan, who also manages Tiger Please and Cuba Cuba who are both with the label, emailed me and asked if I'd be interested in a new track too. With his main band, Funeral For A Friend, recording their new album at the time I think they were quite keen to get some Ghostlines tracks recorded and the timing was perfect for the Secret Treehouse. Ryan has played a big part in this label changing it's fortunes over the past 15 months and to have his own band involved is great. ATP: How has the reaction been to the idea so far? TB: It's been a very mixed reaction - no one has had a bad word to say about the idea itself, but sales for the release have been fairly slow. I don't feel I've really branched out and found new fans yet, it's still the same loyal people who are positive about all of my releases. That's why I've put together the video - in the hope that people will give me five minutes to show them the bands involved and the work involved in putting the physical copies together. I have some really popular bands, mixed with some new talent and it's surprised me to see the newer bands getting the most support. As always with my releases - it's the long term goals that matter most, and I try hard not to be discouraged when my ideas or releases aren't an immediate hit. Anyone who follows my personal Twitter will probably see plenty of evidence to suggest, that not losing heart is still a working in progress though. ATP: Do you think in recent years the physical single format has lost importance? TB: Without a doubt - for me that's down to two main factors, the increase in the ease and availability of paid downloads and the decrease in outlets stocking physical singles. In the high street there is only really HMV in most towns; it doesn't give you much choice. People want music as soon as they feel connected to it - if they hear a great track on the radio they want to listen to it again straight away. iTunes et all let's them do that without spending much money. If you go to a gig and want to hear more from a band then, it's usually midnight and again iTunes is your best option. The last time I bought a physical single in HMV I probably paid nearly £5 and it just wasn't value for money in the slightest. That's part of the reason why I'm sending badges and postcards out with each of my copies, I want people to feel like it's something worth owning and a better return on their money. The handmade zine also adds value for me - I love reading about bands and what better way to do it that when you've just received their new single in the same package. ATP: As a format in general, can "the single" be influential then? TB: Singles can make the careers of so many artists - some end up being one hit wonders, while others go onto big selling albums and a steady stream of top ten hits. A huge number of people still pay attention to the singles chart and the radio tie in to the charts is still pulling one of the biggest audiences. I think that's solid ground enough to say that they definitely have an influence. However it's also worth pointing out that bands like Mumford & Sons haven't had, and their label will agree with this, as I was recently in their quarter four presentation where they spoke about it, what the industry deems a big single. Songs like 'The Cave' are very recognisable - but fans have opted to buy the album instead. It's great for the band though as you'd much rather than a gold selling album than a number 1 single and nothing more. At least I would. ATP: Are there any plans to continue 'The Secret Treehouse' or possible expand it anyway? TB: Definitely not in 2010, but I'm not going to rule it out for next year. It all depends on my release schedule and whether I have a spare two months and a stack of really impressive demos. If I'm going to do it I want it to have an impact. ATP: How has 2010 as a whole been for Walnut Tree Records? TB: Without doubt the best year I've had with this label. I've had some great releases that have all been well supported and my bands have pushed me to new levels. I'm in the fortunate position of looking back and remembering my bands playing at two major festivals, featuring on cover mounts for three of the countries biggest music magazines, full page posters, national radio plays, and now we've started seeing my bands in the video charts on TV channels. Those that know how this label is run or remember where we were two years ago, will know that these are all huge achievements for me. I'm really proud of what we're doing. A big thank you should go out to Sean and Alter The Press and also Paul and Punktastic for your continual support. From a label side I want to thank Gary Lancaster, Ryan Richards and his bands, Neil at The Ranch and every single person that has given me even a few seconds of their time for this label. My girlfriend should also take credit for always reminding me of what I do well and why I do this label. I'm so far from being finished, believe me. 1 x handmade zine introducing the bands and their tracks. 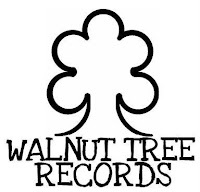 'The Secret Treehouse' by Walnut Tree Records can be purchased through Walnut Tree Records' Online Store. Walnut Tree Records on MySpace, Facebook and Twitter.